I was fortunate enough to be invited to the Toy Story Land Preview event before Toy Story Land officially opened. Toy Story Land is absolutely spectacular and I really did feel like I had been shrunken down to the size of a toy! 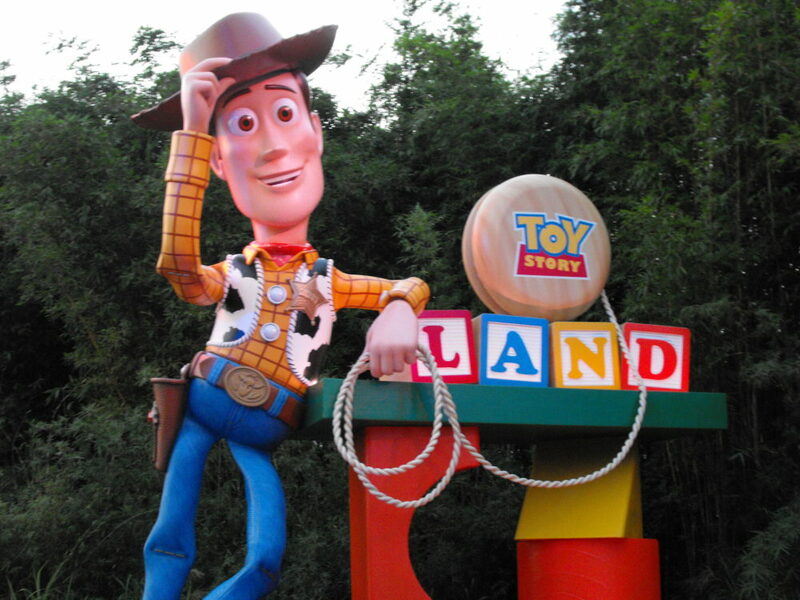 When I first entered the land, a giant Woody greeted me and he even talked! I walked through Andy’s backyard and noticed he has hung Christmas tree style lights overhead. Over to the left is now where Toy Story Midway Mania has found a new home! Slinky Dog Dash is the main attraction is this new land. I witnessed Slinky Dog speeding along on a red steel coaster track. I decided it is time to experience this new attraction for the first time. I was greeted with a happy, “Hi Toy,” from a cast member. I walked through the rows of long weaving lines and arrived at the front. I entered my Slinky Dog Dash coaster shiny red seat and pulled down the lap bar. 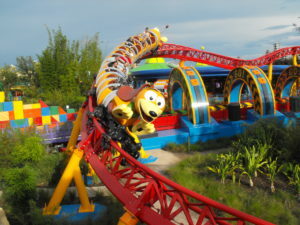 After the cast members made sure everyone was secured, Slinky Dog took off through Andy’s backyard! As I exited the attraction, I noticed toy soldiers along the paths throughout Toy Story Land. I even encountered a life size Toy Soldier drum team. They performed an incredible act that capsized everyone in the area. I then came upon a huge Buzz Lightyear, because of course (as we must keep in mind) I was the size of a toy. 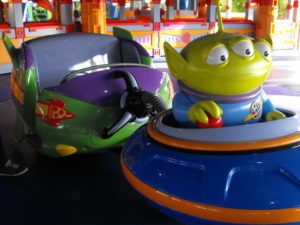 He is located in front of the Alien Swirling Saucers attraction. I did experience the Alien Swirling Saucers and my expectations were exceeded. It is very much like the Tow Mater attraction in Disney’s California Adventure. It has similarities as well to the Mad Tea Party in the Magic Kingdom. It spun rapidly whipping me from one end of the seat to the other. I would certainly give it a try no matter your age. 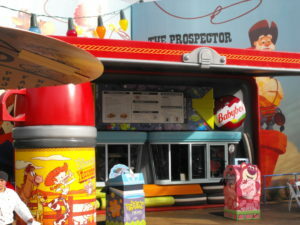 Woody’s Lunch Box is the counter service location in Toy Story Land. It is in all actuality a giant lunch box that has been opened on its side. With its incredible detail, it fits right in with the toy theme. Andy has breakfast and lunch/dinner items available. Some of the items include: breakfast bowl, s’more french toast breakfast sandwich, tochos, BBQ brisket, smoked turkey sandwich, and grilled cheese. I had a wonderful experience and I would recommend visiting Toy Story Land as soon as you can! Fill out our free quote form for Walt Disney World by clicking here!